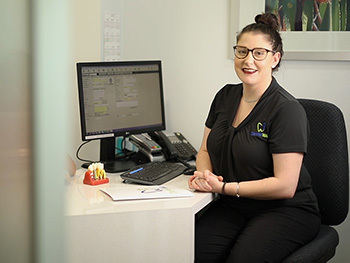 At Dentist WA Canning Vale all patients enjoy access to a dedicated treatment coordinator. All our treatment coordinators are trained dental nurses who can assist in preclinical enquiries and will help explain the process to you. All discussions with our treatment coordinator are provided at no obligation or cost. What can a treatment coordinator help with? Our team can explain various treatments, including dental implant treatment, orthodontics and cosmetic treatments. They can provide indicative pricing structures including payment plans where appropriate. They are able to explain your dental options and provide you with peace of mind about your treatment plan and associated costs. They can also answer all your preclinical questions and give you an approximate cost of each treatment and codes you can use to see how much cover you will get from your Health Insurer. * disclaimer – An accurate quote can not be established until a Dentist has performed an examination.